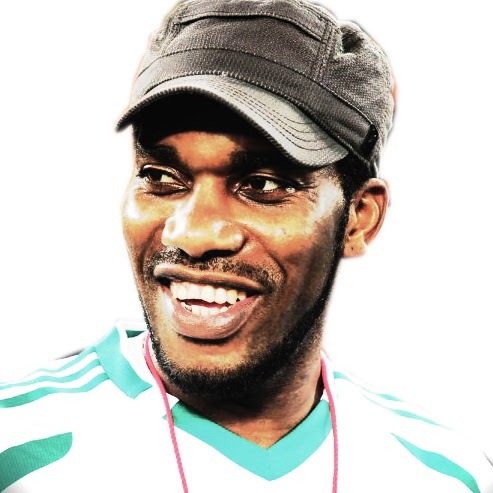 Austin Nwabunike Okocha is without doubt one of the most talented players ever without any doubt.Today he is in retirement and enjoying it with his Wife and grown up kids.In this Interview he discloses how he is enjoying retirement as well as his very humble background plus how he met his Wife and other closely guarded secrets. I must say I can only be grateful to God for having such a wonderful Career without any serious injuries and I must say that I am enjoying myself a bit more now because it was not easy to be on top of your game for so many years, it took a lot out of your body physically now I am relaxing and enjoying what I have labored for. I was just like any other poor kid growing up in Nigeria, from a very humble Family, you know then we could only ask for three square meals a day and nothing more, and for me then that was the ultimate, food to eat, never thought about nothing else, never thought about getting toys or whatever indulgences children of rich homes get, because we were not that rich, it was just survival, so I grew up just like any other kid in Nigeria whereby food was just the only thing we cared about and of course we got to work for your mum, my mum had a shop so I used to work a little bit to sell things after school to keep the family going and at the end of the day I guess the game of football changed all that. I actually started doing business even before retirement, because it's always good to be a step ahead of others, you do not have to wait until you stop playing football before thinking of what to do after retirement, it's always good to know where you are heading to, I never thought of being a Coach after retiring, I never liked being a Coach because of the pressure that Coaches go through daily, but aside from my business I will always remain in football as a Fan, will always try to help the youths to give them a guideline because I think our youth system is really poor, we don't really have very good programs for the youths, I will love to do a lot in helping the youths. Up to you and people to look after, you just have to behave yourself and be focused. Well, I knew my onset that my choice of a Marriage partner was not a mistake from the onset. It was not really a difficult choice for me to chose who to marry like most people thought, I knew if I get married early it was going to be an advantage to make me even more organized, to be more successful, like the Bible saying goes that he who finds a wife finds a good thing, so for me it was a big blessing indeed to have gotten married when I did. Choosing a life partner was not a challenge for me, it definitely was not, it was not difficult,, because when I met my wife, I just knew she was the one for me, for me there was no single doubt in my mind that I will want to live the rest of my life in Nigeria and come back home, so, it was just too clear that I was going to marry a Nigerian and for me then, I wasn't really looking at just the beauty alone, I was looking at the character, somebody I think will manage a good home. Good..... Every successful hand has story to tell. U did wat u had to do and became d greatest skillful african player ever to grace d football world..Kudos to u..
On his early marriage.... It wasn't too early now.. He wasn't a teenager when he married. Perhaps marrying early is better than fooling around like most footballers do now. That was cool man, enjoy your life. jay jay u have been my idol .since or school in Nike grammar school Enugu. He was sooooo good he was named twice...JJ..
Am not surprise. It shows in u and ur humble background too. Dats why today u are a success story. Very good of you JAY-JAY, keep on enjoying your retirement,may the LORD JESUS bless you and your family.In Jesus name.Amen.